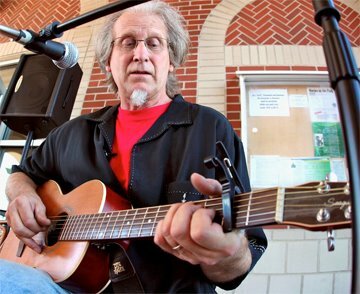 Peter Lippincott is a singer/songwriter based in Antigua, Guatemala. In addition to his own songs he performs the work of other songwriters and a wide range of traditional American material on a range of instruments. Peter play guitar & mandolin as well as other stringed instruments. His singing is perhaps his greatest musical strength with a rich & versatile vocal timbre; he has returned to the song writing he began as a young man, now creating new music reflective of the experiences of maturity. He is recording a CD of his original songs. Watch a video of one of the songs. It has been recorded on numerous CD’s of other artists—too many to count. Living in Guatemala now. Plenty of opportunities to play music here in Antigua. Watch this space for upcoming appearances. Loved meeting you in Panama. Come on back.